Happy Monday guys!! I don’t have much to say about the weekend except that it was fun and relaxing. As usual since I took no pictures I thought I’d do another post today. Having lived in two Caribbean islands (I lived in Barbados for two years), I know a thing or two about Beach life. I thought about doing a Caribbean vacation series and I probably will soon, but for now, Im talking beach bag essentials. When I lived in Barbados in particular, I went to the beach often. By often I mean I legit went nearly every single day! 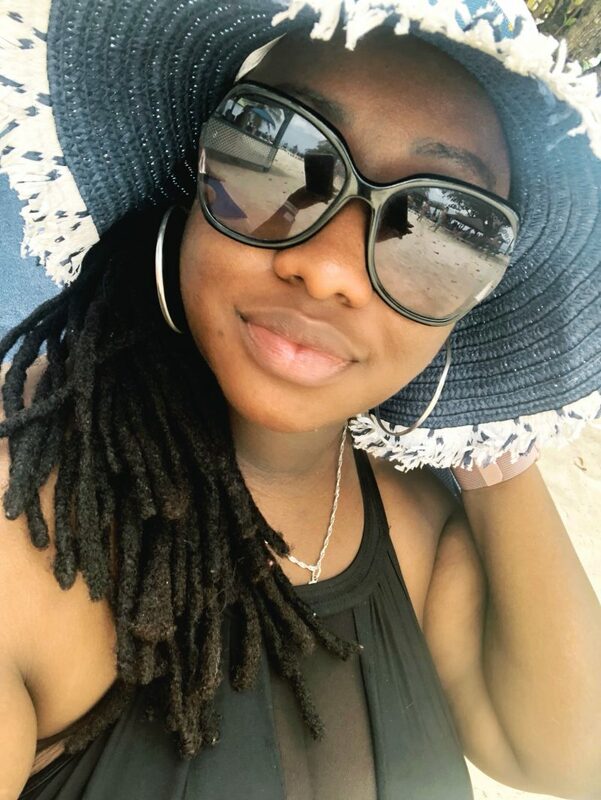 My roommate Nadiya and I actually ditched classes regularly and headed to the beach (Fun fact: I have been to most if not all of the beaches in Barbados and I know Barbados like the back of my hand). 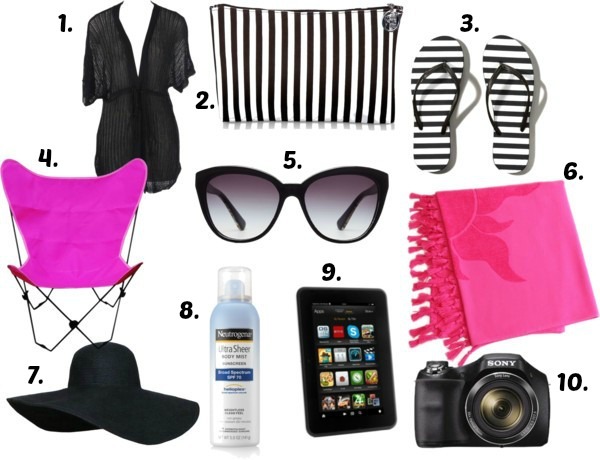 Since its summer in the U.S. and school is out here in my country, I thought I’d share my essentials for the beach! 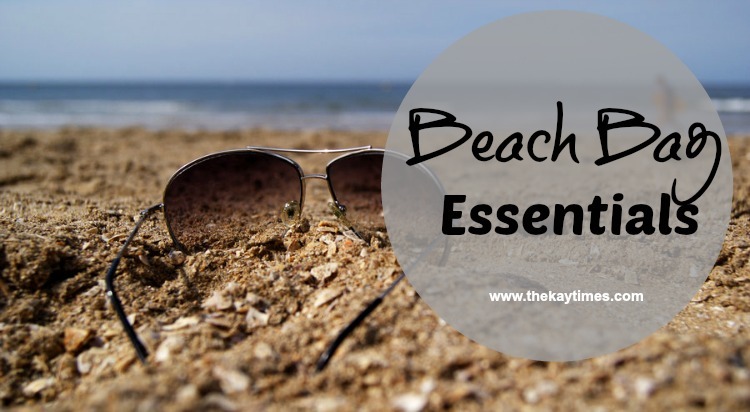 There are certain things that are must haves for a beach bag! 1. Swimsuit cover-up – A swim suit cover up is a must have for sunny beach days – heavy clothes are a big whopping no no. You can find the one pictured above here. 2. Makeup bag – I always carry a makeup bag with me just in case I want to put on makeup after the beach to head somewhere for a drink or something. I guess this isn’t a must have. 3. Flip Flops – Definitely a must have for the sand. I toss mine in the trunk of my car when Im done so sand doesn’t get everywhere. You can find the one pictured above here. 4. Beach Chair – I think everyone in the Caribbean has a beach chair. Fun fact – though I don’t go to the beach as often as I should or could, there is a beach chair in the trunk of my car at all times. All times. 5. Sunnies – This will probably be on my face for the entire trip. I wear sunnies every single day! You can find the D&G one that I own and that’s pictured above here. 6. Beach Towel – A cute beach towel is always a must have for beach days! 7. Wide rimmed Beach Hat – I love a wide rimmed beach hat for beach days. The one pictured above can be found here. I actually just bought this one. It was just $6 on Amazon. I had to have it! (It inspired this post). 8. Sun Screen – A must. A must no matter how fair skinned or dark skinned you are. Protect your skin folks! 9. Kindle / Ipad – I can swim but thats never my main focus when going to the beach. I go to the beach to relax and read. I always take a book or a kindle (I have the kindle fire) or my iPad for the kindle app! 10. Camera – More important these days then ever since Im learning (or attempting to learn) to use my camera. I have this one. What are your beach bag essentials? ?